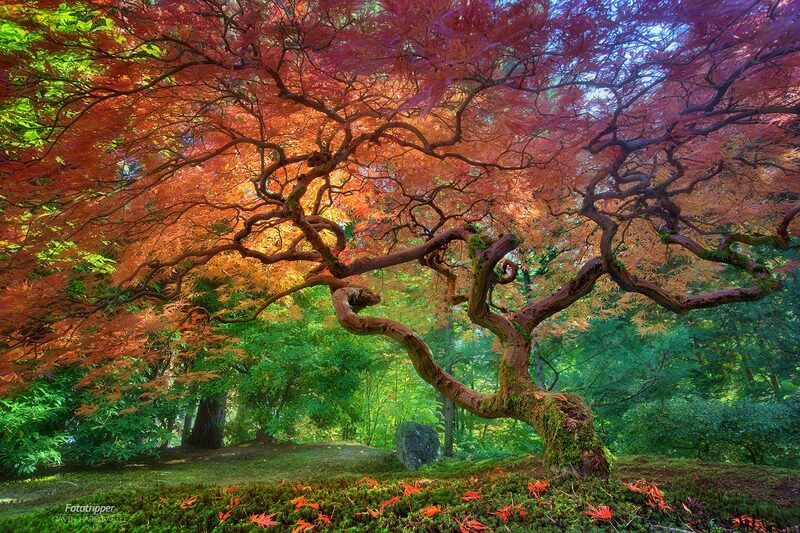 Under this tiny little tree, I met a photographer who was on his revenge visit to Portland Japanese Garden. The year before he’d crouched down under this tree with his camera to take a shot and promptly had a heart attack right there and then. Luckily he survived and chose this day to come back for a second try. I’m glad I got to meet him and hear his story. He remarked upon how the branches of the tree made him think of arteries and blood flow as his very heart betrayed him. Occasionally you need a reminder of how fleeting life can be. Sometimes you have to take a breath and realize you’re lucky to be alive to witness the simple things that make life beautiful. If you’re ever planning a trip to Portland, be sure to check out my Portland Japanese Garden Photography tips.